Remote control airplanes are loads of fun. They may be mostly marketed to kids, but flying RC planes can be a super fun hobby for adults as well. When purchasing an RC plane as an adult, there are certain things to look for in a plane. If you are buying one for a child, you probably want one that is inexpensive, hard to break, and easy to fly. The opposite holds true when searching for a plane for an adult. You want it to be fun, fast, and high quality. We put together this list of RC planes that are great planes for adults to fly. All of them are high quality, fun, and decently fast. Our top choice for the best product in this review is the Hobbyzone Sport Cub S. Hobbyzone makes some of the best RC planes at the intermediate level, and the Sport Cub model is no exception. The Hobbyzone plane gets top marks by our reviewers. The Sport Cub S is the top plane on our list for multiple reasons. First, the plane is easy to use. It has multiple features that let you spend more time flying the plane, and less time maintaining it. The S model stands for the “SAFE” technology that the plane uses. One of the nice safety features is the “panic recovery mode”, where all you have to do is pull a trigger on the remote and it stabalizes. The Sport Cub S is ready to use out of the box, meaning that you don’t have any complicated assembly to do, and can start enjoying it right away. This RC plane by Hobbyzone is loaded with other features, including 4-channel control, and a steerable tail wheel for next-level handling on the gound. Hobbyzone has legendary quality when it comes to their RC planes. You can expect to enjoy this plane for years to come if you take care of it. The Hobbyzone Sport Cub S is a great plane, and right now, it is at an all-time low price. 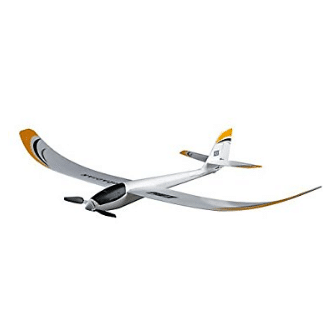 Compact, electric foam RC plane with SAFE technology is fun for beginners and experts alike. 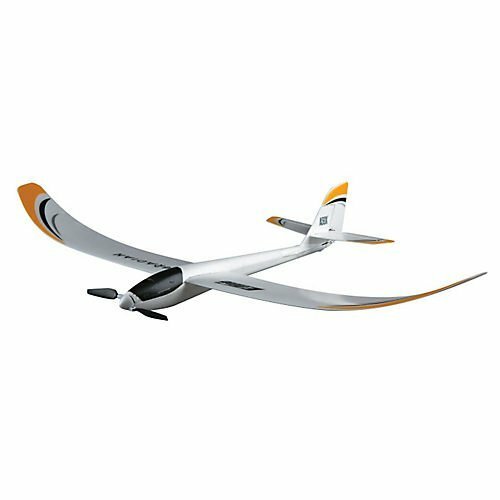 The 2nd best option in our list of best RC airplanes for adults is the E-flite U2980. 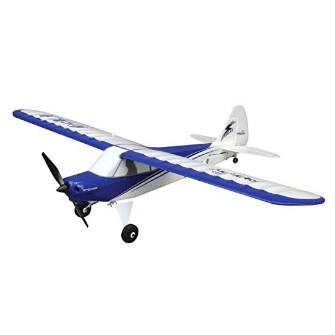 The E-flite is one of the best-rated and best-selling RC airplanes on the market. With great features at an even better price, this plane will surely satisfy your itch to get flying. The E-flite is a lightweight plane that is made of foam. 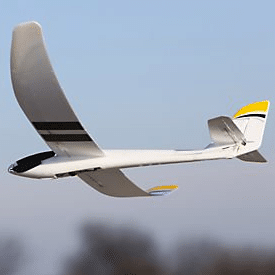 Although foam may sound low quality, molded foam is actually a desirable construction material for RC planes that provides great lift and gliding capabilities. The unit is powered by a brushed motor, and uses a Li-Po battery that gives an extended flight time. This plane does not come with a remote control, which can be a good thing. That allows you to choose the unit you want without being locked into the terrible stock receiver that most planes come with. Although this will increase the overall price of the unit a little, it will likely still be far less than you would spend on another plane with similar specs. Although the E-Flite is not ready to use out of the box, there is no complicated assembly. All that is required is attaching the one-piece wing, and you are ready to fly. There are many other “affordable” planes that claim to offer a great flying experience for a low price. But in reality, not many planes on the market can match the E-flite in quality at this price point. At less than $100, this plane is a steal. The last plane in our review is the GoolRC F949. This plane is designed to be a miniature of a Cessna plane, and fortunately, is just as good quality as one. We included this plane in the review to add a great beginner plane to the mix. 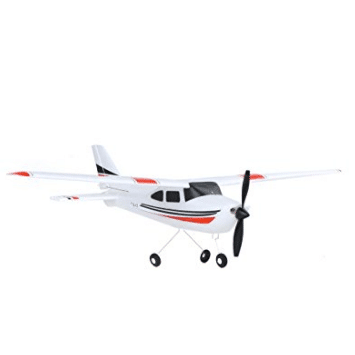 Even though it is a beginner plane, it is extremely fun to fly, has great maneuverability, and can go extremely fast! The plane is nearly indestructible. product testers have reported crashing the plane, and not even noticing an effect on the body or the usability of the plane. This plane has a flying range of up to 200 meters, which fully lets you utilize the high speeds of this RC. On top of this, the battery life is better than any we have seen in this price range, lasting up to 25 minutes. The GoolRC F949 is a really fun RC plane to fly, but also a great plane to learn on. It may not have all of the flashy features of other planes, but the insanely low price makes up for the weaker specs. Desined according to Cessna-182 real plane,with cool appearance. Whether you are hoping to get into flying for the first time as an adult, or have been flying your child’s plane for a while and hoping to upgrade to a more serious RC, there are a few tips that we would like to leave you with as you search for your next plane. First, know your skill level. One of the biggest mistakes that new RC plane hobbyists make is that they try to go for the fastest, most maneuverable plane they can afford. While going this route is usually the most fun, it can be devastating to crash your brand new plane on your first flight because it was too hard to handle. 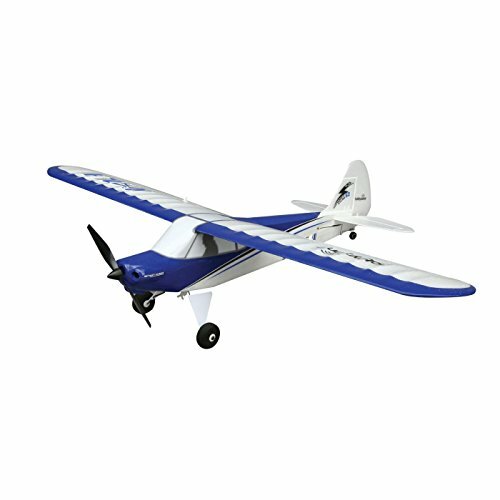 We recommend going with an almost indestructible beginner plane like the GoolRC F949 for your first plane, then upgrading slowly until you reach a plane you are happy with. Second, decide what you want out of your plane. There are many different types of planes out there, all with different designs and features. Some look cool, some go fast, and others are indestructible. Figure out what you want first, and then make the jump to purchase an RC plane after. Last, realize that flying an RC plane may not be everything you expected. It may be too hard, too frustrating, or too boring for you. Like everything else, flying RC planes is a skill, and it takes time to develop. As you progress and become more skilled, flying will become more fun. Once you are a pro, there are many things you can do to make flying even more fun. For example, you can start mounting your planes with video recorders, or even start racing. 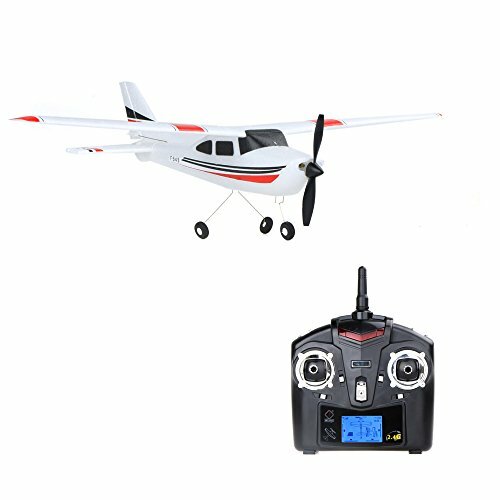 If you decide you want a different plane than one on this list, be sure to check out our other reviews to find out valuable information on every RC on the market.